This book is not too long, and is written in a pleasant, easily-understood style. 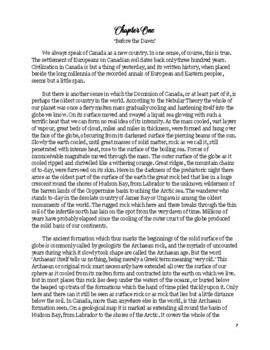 The pre-Jacques Cartier era in Canada is described clearly in general terms, and a reader who has thoughtfully read the text from cover to cover and completed the assignments will have a good picture of the setting which served as the backdrop to events following 1524. This book was first published in 1915, and accurately represents the scholarship and attitudes of the time. 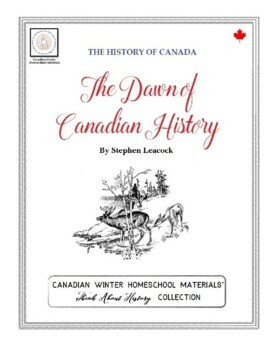 It contains informative and interesting information, and also some outdated generalizations, which makes it an excellent choice for learning about historical facts, and about how history is ‘told’. Food for Thought - a collection of excerpts from the main text, each accompanied by a short explanation of relevant themes and ideas about how history is told, etc. 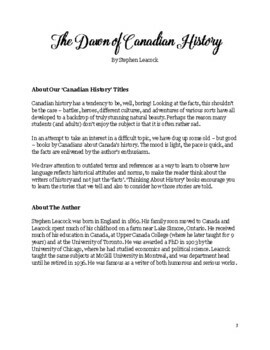 Following the explanation there are questions that require the student to think critically about what they just read and about history in general.